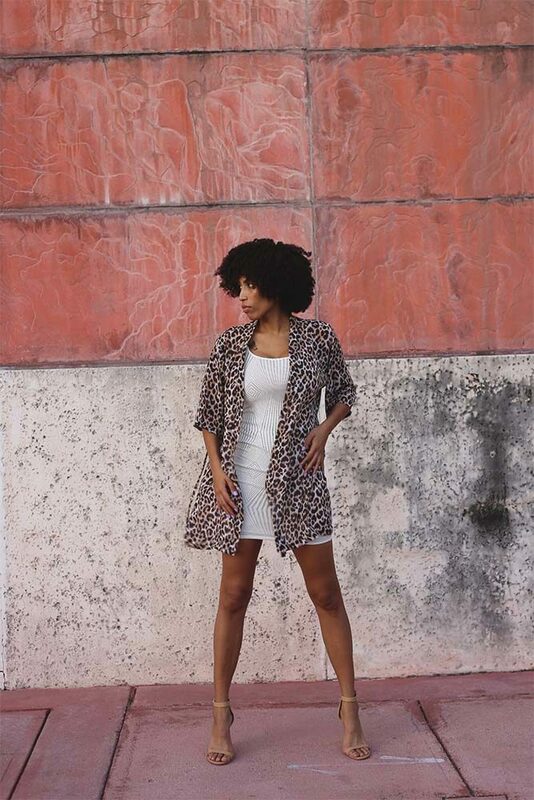 The Kribi Kimono has a wild leopard print all over the kimono. The colors are a mix of brown, beige and cream that reminds us of Kribi, a little gem in Cameroon in Africa. We imagine an adventurous woman crossing land and sea for her daily missions in Kribi. She needs to feel comfortable and sophisticated for her walks around the beach and her boat trips. The Kribi Kimono will fit her perfectly!